Viking Performance takes another leap in high performance suspension with it's new patent pending Crusader high force double adjustable shocks. 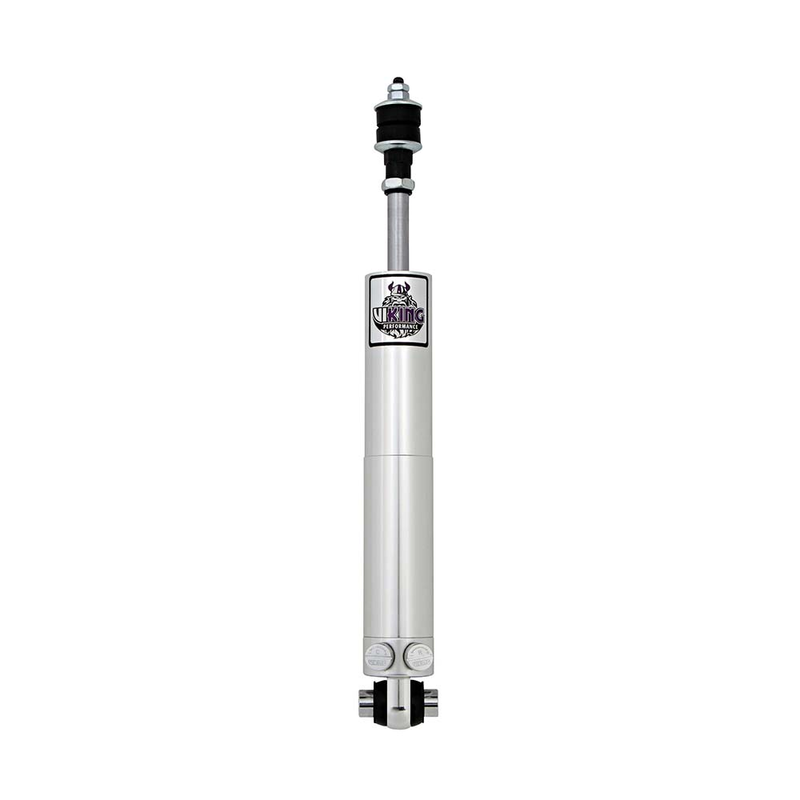 These Crusader shocks are offered in a variety of valving confirmation depending on the application. Crusader shocks are capable of generating the huge rebound forces often required in race/performance applications to achieve more constant tire patch contact force. The rebound side has 22 available position of adjustments that generate a progressive curve, while the digressive compression has 19 positions of adjustment, for a total of 418 different valving combinations. Every shock is dyno tested and serialized and hand built in the U.S.A. at Vikings Lakeville, MN facility. They feature lightweight aluminum body with a clear anodized finish, precision machined pistons with PTFE | bronze piston wrap and 5/8" centerless ground, hard chrome plated piston rods. Each shock is covered by a Two year material and workmanship warranty! Double the warranty of nearly every other manufacturer! » Two year material and workmanship warranty. Double the warranty of nearly every other manufacturer! 2005 2006 2007 2008 2009 2010 2011 2012 2013 2014 GT GT500 Bullitt GT-CS V6 V8 281 4.6L 5.4L 4.0L 5.0L 5.8L Coyote Mustang Steeda Shelby Saleen Roush vehicles. No one else can stack up to the bold clean styling of our aftermarket Billet dress ups, Street Strip & Racing Suspension & Performance Parts for your late model American Muscle Car!